Welcome to Fort Myers, one of the many major tourist destinations throughout the state of Florida. Known for its beautiful shorelines and family-friendly attractions, Fort Myers sits comfortably along the Gulf Coast housing a total of approximately 70,000 residents who reap the benefits of this beautiful city on a daily basis. Being the commercial center of Lee County, there is an endless amount of reputable employment opportunities and thrilling entertainment for everyone. Fort Myers has become home to many and continues to grow in numbers due to a unanimous vote for popularity! Although most may travel to Fort Myers for retirement or vacation, students seeking an education also find themselves searching for great school systems within Lee County and also colleges such as Florida Gulf Coast and Florida Southwestern State. 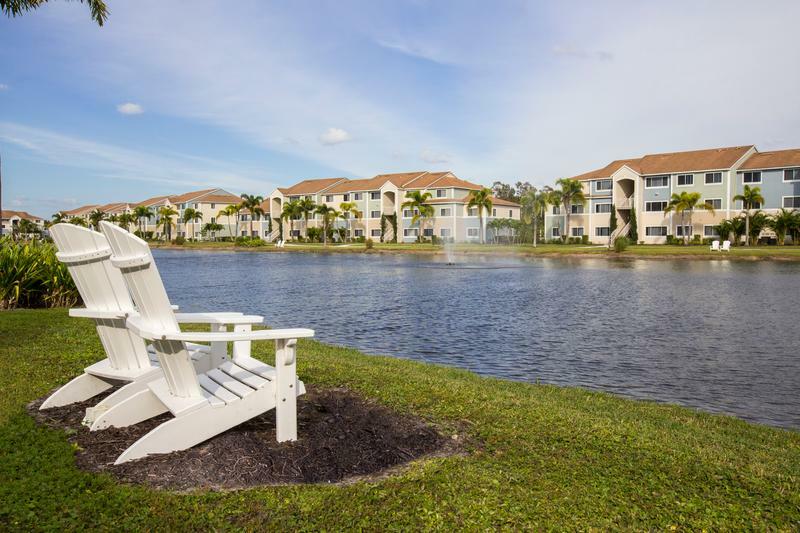 With the schools positioned on the waterfront and exquisitely landscaped, there is no wonder why families and students are so attracted to the atmosphere and why our apartments for rent in Fort Myers, FL near FGCU are the perfect option for off-campus housing. Enrollment numbers continue to increase year to year as academic results improve and exceed expectations. There’s always things to do in Fort Myers, whether you’re looking for a weekend of fun or a chance to embrace the nature of Florida. Go kayaking at Manatee Park and get a close up view of manatees like you’ve never seen before. The Six Mile Cypress Slough Preserve is a great place to go when you’re looking to explore the serene ecosystem that is Florida landscape. With 3,500 aces, there are endless trails to explore with a butterfly garden and boardwalk trails through the wetlands. With Lakes Park, Calusa Nature Center & Planetarium and the Four Mile Cove Ecological Preserve, you’ll always be able to have something new to explore. Fort Myers is more than just wetlands. At the Edison & Ford Winter Estates, explore the homes of Thomas Edison and Harrison Ford and explore their research lab, botanical garden and museum. For fun for all ages, visit the IMAG History & Science Center, with over sixty exhibits, including a hurricane simulator. If you’d love to get in touch with your inner detective, try your hand at the Murder Mystery Dinner Train for a 5-course meal and solve a mystery while riding the train. From jumping around at the Sky Zone Trampoline Park, to finding hidden treasures at Fleamasters Fleamarket you’ll always find something new to do. Within the city lines, Aspen Square Management has provided Fort Myers, FL apartments for rent to many residents at their two communities, The Laurels Apartment Homes and Lexington Palms at The Forum, each of them offering different floor plan sizes from one to three bedroom apartment homes. 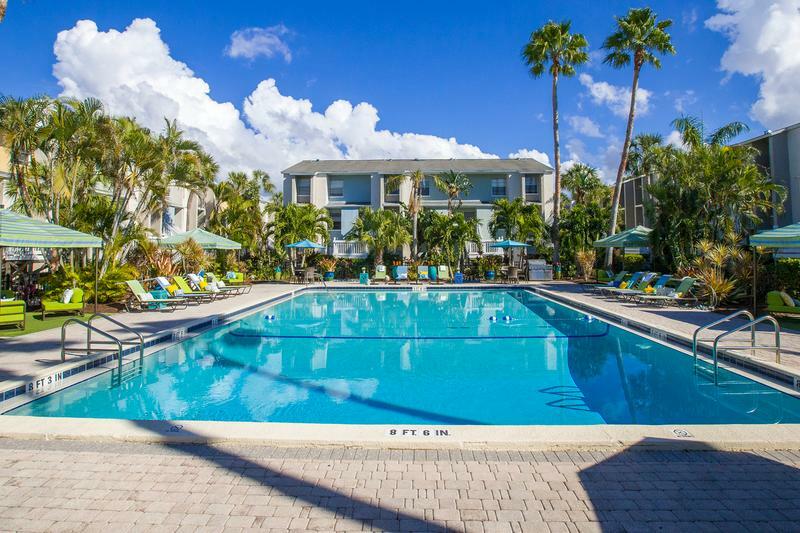 Both Fort Myers, FL apartments are conveniently located in the heart of the city with direct access to major highways like Interstate 75, and also popular destinations like Fort Myers Beach and downtown Cape Coral. Lexington Palms at the Forum takes pride in its central location to many local Universities, gorgeous beaches and several shopping venues. Its spacious floor plans are situated around a sparkling lake with beautiful fountains and scattered BBQ areas. The Laurels Apartment Homes, where life's a breeze, you will enjoy fully equipped kitchens and renovated apartment homes that you will absolutely fall in love with. Reap the benefits of the state-of-the-art fitness and business centers, the resort-style pool with expansive sun deck, and the 24-hour maintenance service. There is no place like home when you make an Aspen apartment in Fort Myers your new address! Aspen Square communities are among some of the top rated apartments in Fort Myers, Florida. Get your furry friends ready, because they’re moving in! Our apartments in Fort Myers are pet-friendly, including large breeds.If you are looking for a beautiful place to call home while also receiving exceptional customer service, The Laurels Apartment Homes and Lexington Palms at The Forum are where you want to be. We take pride in our professional on-site staff and the relaxing and comfortable living experience that all of our valued residents enjoy. Find your Fort Myers, FL apartment home in this part of the sunshine state, and you will not be disappointed!